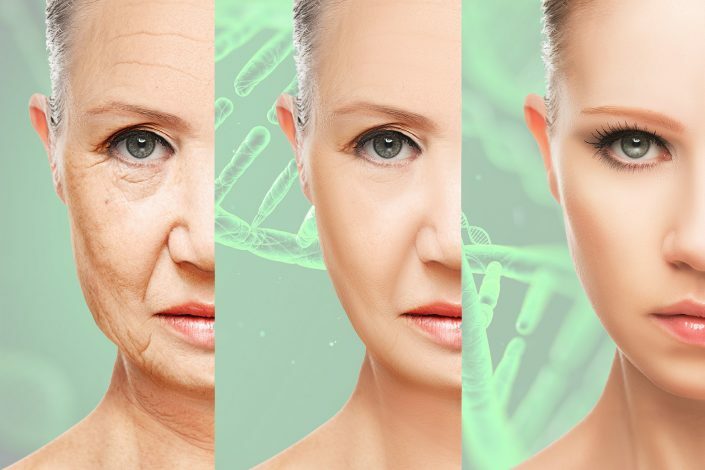 Are you in the middle of exploring regenerative medicine as your elixir fountain of youth? Or re-building back your immune system and physical health? If yes, then you must have heard of stem cells therapy. In this article, we will guide you through these ever-increasing recognition given throughout the world towards this particular treatment — Stem Cell Therapy. Mesenchymal stem cells (MSCs), often used in stem cell treatments, are unspecialized cells that have the ability to self-renew for long periods of time and differentiate into specialized cells with specific functions. Mesenchymal stem cells (MSCs) can be isolated from the bone marrow as well. However, research has uncovered that Human Umbilical Cord (UC) is a promising source of Mesenchymal stem cells, specifically the Wharton’s Jelly-derived MSCs (WJ-MSCs). On top of that, MSCs can be easily obtained and processed from WJ-MSCs compared with embryonic and bone marrow stem cells. Just for additional knowledge purposes: Wharton’s Jelly-derived MSCs (WJ-MSCs) yields 500-fold greater amount of MSCs compared to those obtained from bone marrow. The number does matter since most of the clinical applications of Mesenchymal stem cells (MSCs) require a large number of cells for transplantation. It is widely known that our body’s stem cells will slowly lose their ability to renew and replicate as we age, into functional cells to maintain the normal function of the organs. Furthermore, diseases, illnesses, lifestyle habits, malnourishment, and mental depression will reduce the lifespan of the cells in our bodies. Taking into account the regenerative attribute of Human Umbilical Cord (hUC) MSCs, people aiming for overall healthier well being would certainly go for stem cell therapy. Even athletes, rock stars and also scientists, are among the people who go for UC Mesenchymal stem cell (MSCs) treatments as fast-acting boosters. Studies have shown that it assists in the healing of acute asthma attacks, migraines, fatigue (including chronic fatigue syndrome), fibromyalgia, acute muscle spasm, and other disorder. While aesthetically, human Umbilical Cord MSCs therapy diminishes fine line and wrinkles, also improves skin elasticity and thickness. Besides protecting and restoring damaged skin, Human Umbilical Cord Mesenchymal Stem Cells help to tighten and to shrink enlarged open pores using its regenerative trait. More of hUC MSCs’ anti-aging benefits include removing dark circles under eyes while adding more evenly toned color. There will be three main stages of Human Umbilical Cord Mesenchymal Stem Cell therapy. On the treatment day of Human Umbilical Cord Mesenchymal Stem Cells therapy, the patient’s medical report will be reviewed. Following will be the diagnosis of the patient before discussing the patient’s well-being. Consultation is followed by the detoxification process, which involves micronutrients infusion. The purpose of micronutrients infusion is to boosts the antioxidant level to create an ideal environment for the regeneration of cells. The detoxification process takes approximately 30 minutes. After ensuring that there’s an optimal environment for the regeneration of cells, the patient will go into the Human Umbilical Cord MSCs infusion therapy. There will be two different administration of UC MSCs, intravenous (IV) administration followed by intramuscular (IM) administration. Administrations of Human Umbilical Cord Mesenchymal Stem Cells approximately take 5 to 10 minutes. The patient is required to stay on the bed and rest for additional 10 to 15 minutes for observation purposes. Intravenous (IV) administration can achieve concentrations not obtainable with oral and intramuscular (IM) administration. The treatment results are almost instantaneous because the digestive system is bypassed when vitamins and minerals are given intravenously. In contrast, IM administration is a slow-release and slow-acting form of medication. It can actually last a lot longer compared to IV administration. With this, we conclude the article on how does stem cell therapy work. After reading this article, will you opt for stem cell therapy and its promising regenerative effects? Before you decide, please submit your application form for our review, and we will gladly provide you with a free consultation.